In 2014, the Richard Evans Award was presented to the Missisquoi Historical Society (MHS) of Stanbridge East, Quebec. Established in 1899, the MHS is one of the oldest historical societies in the province of Quebec. In the words of Michel Racicot of the Cowansville Historical Society, "we can attest to the tremendous impact the Missisquoi Historical Society has had on the preservation and promotion of Anglophone heritage in Missisquoi and region. For years, the MHS has collected, preserved, researched, exhibited and published items of historical interest focusing on the United Empire Loyalists who settled Missisquoi, on other early settlers from the United States, and on the history of our region. 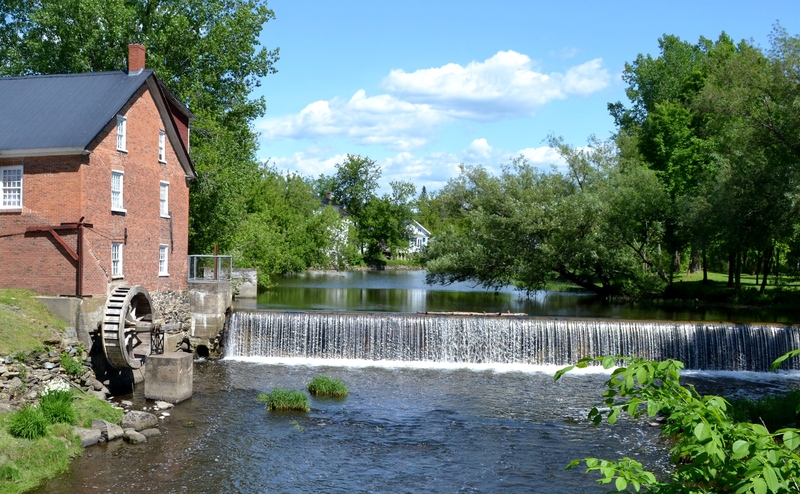 Over the years, we have always benefitted from the Missisquoi Historical Society’s expertise and hard work." These sentiments were echoed by the Hemmingford Archives, which called the MHS "an inspiring example of community museums at their best." Established by the Missisquoi Historical Society in 1964 (50 years ago this year), the Missisquoi Museum operates three venues: the original museum in the Cornell Mill on the Pike River (built in 1830); Hodge's General Store (built in 1841); and most recently, the 12-Sided Walbridge Barn in Mystic (built in 1882), which houses the museum's extensive agricultural collection. As historians Brian Young and Béatrice Kowaliczko wrote in their official nomination of the MHS for this award, "the museum's permanent and annual exhibitions have been central factors in encouraging an understanding of Missisquoi history, and objects from its collection have traveled to exhibitions across Canada... Over the past years, the historical society has accelerated its involvement in local heritage. In 2010, for example, it erected a panel on the Eccles Hill site of a Fenian Raid. Hodge’s Store was redesigned in 2012 and is now equipped with a multi-media system. Perhaps the historical society’s most exciting recent innovation was the installation in 2010 of its agricultural collection at the Walbridge Barn. This marriage of an outstanding agricultural collection with one of the architectural gems of rural Quebec represents perfectly the historical society’s ongoing commitment to its heritage mission, its capacity to adapt to changing conditions, and its facility in collaborating with other heritage partners. Now in its 116th year, the Missisquoi Historical Society is a fitting recipient of the Richard Evans Award. In a symbolic way, this award is a way to recognize the historical society, its members, its staff, its volunteers, and all those who have contributed to its collections, publications, activities and administration."